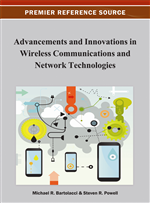 This paper presents the Cognitive Radio framework for wireless Ad Hoc networks. The proposed Cognitive Radio framework is a complete model for Cognitive Radio that describes the sensing and sharing procedures in wireless networks by introducing Queued Markov Chain method in spectrum sensing and Competitive Indexing Algorithm in spectrum sharing part. Queued Markov Chain method is capable of considering waiting time and is well generalized for an unlimited number of secondary users. It includes the sharing aspect of Cognitive Radio. Power-law distribution of node degree in scale-free networks is important for considering the traffic distribution and resource management thus we consider the effect of the topology on sensing and sharing performances. The authors demonstrate that CIF outperforms Uniform Indexing (UI) algorithm in Scale-Free networks while in Random networks UI performs as well as CIF. The network topology is one of the main factors in considering the traffic flow and resource management in telecommunication networks. There are different ad hoc topologies like random and scale-free discussed in network theories each presenting certain characteristics. There are classes of networks where the nodes are attached to the network in a random way meaning that the number of connections of nodes has a normal distribution. The degree (number of links to the node) distribution of nodes in such networks is a Gaussian type distribution.